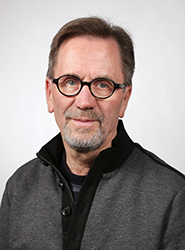 Veikko Anttonen is Professor Emeritus of Comparative Religion. He was appointed Professor and Chair of Comparative religion at the School of History, Culture and Arts Studies at the University of Turku, Finland in June 1998. He retired from September 1st, 2015. He was awarded Doctor Honoris Causa by the University of Debrecen, Hungary in 2010. He has held several positions of trust during his career, e.g. the President of the Finnish Society for the Study of Religion between 2005‒2011 and the Editor-in-Chief of Temenos, Nordic Journal of Comparative religion between 2004‒2011, Vice-President of the European Association for the Study of Religion (2008‒2010), Vice-President of the Finnish Literature Society (2001–2007). He has authored an intellectual biography on Uno Holmberg-Harva, the Finnish pioneer of comparative religion (Uno Harva ja suomalainen uskontotiede, 1987), on The ‘Sacred’ as a Cultural Category (Ihmisen ja maan rajat, ‘Pyhä’ kulttuurisena kategoriana, 1996) and Territories and Maps of Religious Studies (Uskontotieteen maastot ja kartat, 2010). He has edited a book Current Approaches in the Cognitive Science of Religion with Ilkka Pyysiäinen (Continuum, 2002) and contributed articles on method and theory in the study of religion to Religion as a Human Capacity (Brill, 2004), Guide to the Study of Religion (Cassell, 2000), and The Sacred and its Scholars (Brill, 1996). In addition to methodological issues in the study of religion, his scholarly interests vary from archaeology of religion, politics of sacred lands and sacralisation of landscapes to citizenship studies and the study of nationalisms. Presently, I am co-editing and writing entry articles for “The Encyclopedia of Finnish-Karelian Mythology”.